Aromantics may not feel romantic love but that doesn't mean they're cold or callous people. Having crushes, dating and falling in love may seem like universal human experiences, but that’s not the case for everyone. People who identify as aromantic ― or “aro” for short ― don’t experience romantic attraction and generally aren’t interested in romantic relationships. While some people identify as both aromantic (not feeling romantic attraction) and asexual (not feeling sexual attraction), the two don’t necessarily go hand in hand. Some people are asexual but not aromantic, while others are aromantic but not asexual. We have a cultural obsession with rom-coms and fairy tale endings, but that doesn't make romantic love a universal human desire or experience. 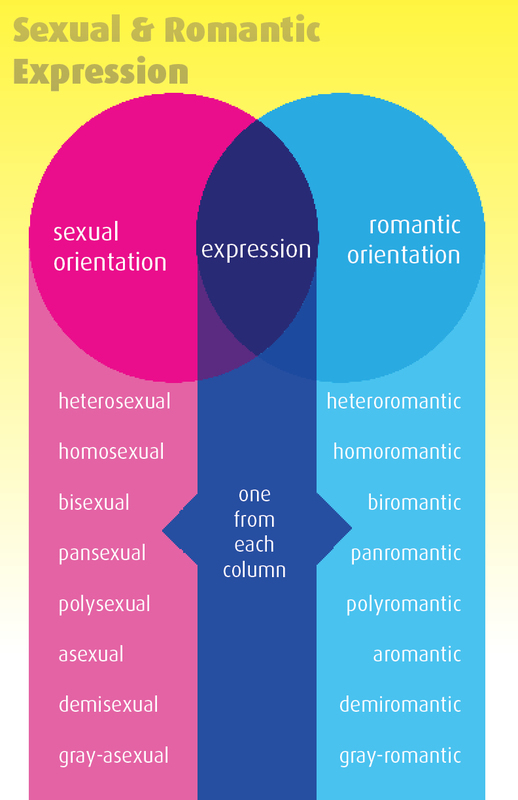 Aromanticism exists on spectrum, and individual experiences vary from person to person. There’s no agreed-upon definition of what does or does not constitute romance. For example, some people might consider making out to be sexual, others might consider it romantic, and that can change depending on the circumstances. A person who identifies as aromantic is still capable of other types of attraction, such as recognizing when a person is good-looking ― also known as aesthetic attraction. Aros aren’t cold or heartless either; in fact, they often feel familial and platonic love very strongly. To learn more about what it means to be aromantic, we asked three people who identify that way ― illustrator Kotaline Jones, and Jenny W. and Milly R., admins for the Instagram account @justaroacethings ― to tell us about their own experiences. Jenny and Milly have chosen to withhold their last names for privacy reasons. When and how did you realize you were aromantic? Milly: I began to identify as asexual when I was 16 and first heard the term, but it never clicked that I was aromantic as well. I knew I felt some connection to aromanticism but I denied that feeling. It was hard, and took a few months to realize, but when I finally accepted that I was aromantic, I broke down and cried. I was 18. I’d never had crushes and felt uncomfortable in romantic relationships, but it still felt like something had been stolen from me. That promise of a future with true love and marriage and a fairy tale ending was suddenly gone, even though I still wanted it. I’m 19 now, and it’s been less than a year but I am so proud and infinitely happier knowing that I’m aro. It’s changed my whole perspective on love, on my feelings and my future. It’s an important part of who I am. Jenny: I started to consider that I might be aromantic earlier this year when I found @justaroacethings on Instagram. I was 18 at the time and have since turned 19. I already knew I was asexual, and I was aware of what “aromantic” meant, but I hadn’t looked into it further. I had assumed it was a term that didn’t apply to me because I had been in romantic relationships before and thought that meant I must have experienced romantic attraction. However, I read practically every post by @justaroacethings and followed lots of similar accounts, so I eventually began to notice that I related to the posts about aromanticism, as well as the ones about asexuality. I eventually learned that someone’s orientation is determined by attraction ― or lack thereof ― rather than action. Meaning the fact that I’d been in romantic relationships before didn’t preclude me from being aromantic. I don’t experience romantic attraction, so regardless of my actions, I am aromantic. What does being aromantic mean to you? Kotaline: I don’t really think I have a right to define being aromantic broadly, but my experience with aromanticism is that I just don’t really have a drive to pursue a relationship with another person or even imagine a future relationship. I don’t want a romantic partner, I haven’t felt romantically attracted to another person for years, and it’s not really a big deal for me. Jenny: To me, being aromantic means freedom, as terribly cliche as that sounds. Growing up, we’re all told that we’ll one day fall in love, move in with a romantic partner, get married, have children, etc. That’s what I was told by everyone around me, so it’s what I learned to expect and I never really questioned it. But since realizing I’m aromantic, I’ve realized that’s not what I want and it never has been. It was merely what I expected of me. I am free to decide what my future looks like, rather than getting into relationships I don’t want simply because I feel obliged to. Are you interested in being in a relationship or partnership now or in the future? Jenny: I’ve realized that I don’t want romantic relationships, but personally, I do still want a committed relationship, specifically a queer/quasi-platonic relationship or QPR. A QPR is a companionate relationship with a commitment level similar to that of a romantic relationship, but it is different from the typical romantic/sexual relationship. A QPR is defined by it’s lack of “traditional” romantic expectations, and can involve as many or as few sexual or romantically coded activities as the partners choose, depending on what they’re comfortable with. Have you been in relationships in the past? Kotaline: I really have always preferred to be alone, so I don’t have much of a relationship history. I don’t know if I was always inclined to be aromantic, but I did my fair share of self-sabotaging my crushes in the past, and I never really felt comfortable with the idea of being in a relationship with someone long-term. I’d like to think the crushes I had when I was younger were real, because I feel like the people I liked romantically influenced me a lot as a person, and I still know and like some of them platonically to this day. But I feel like the point where I chose to specifically label myself “aromantic” was the point where I felt emotionally certain that I had not experienced the desire to be in a relationship for a long time and could not imagine myself experiencing that desire any longer. A person's aromantic identity is not something to pity or a cause for concern. Jenny: I am not currently in a relationship, but I have been in two romantic relationships, both before I considered that I might be aromantic. I’d like to stress that this is just my experience and I don’t speak for all aromantic people, as we all have different experiences and attitudes towards romance. But personally, I’ve always been rather indifferent towards romance. On both occasions, I got into a romantic relationship with someone I considered a best friend because they had feelings for me, and I didn’t want to let them down. I would have been perfectly content to stay best friends instead. But I didn’t mind the idea of being in a romantic relationship, and everyone around me told me I should say yes, so I saw no particular reason not to. Because I was unaware of the term “aromantic” at the time, I supposed that was what romantic attraction was. I was wrong, of course, and it was only years later that I realized this. Do you still enjoy rom-coms, romantic books and love songs? Kotaline: I definitely still enjoy romantic media! I really enjoy drawing couples, and romance as a concept is very cool to me. Culturally we’re conditioned to think about it a lot, and it comes in all different packages, after all. I’m certainly not against romance, even if sometimes it can be a little overwhelming to see just how much media is romance-oriented. Milly: There is a lot of terminology specific to the aromantic community, and enjoying romance and romantic media is what we label being “romance positive.” You can also be “romance repulsed” and “romance indifferent.” It’s more complicated for me because I switch between these. Some days I love watching mushy rom-coms and breakup songs, while others I find myself bored with them, and still others I feel uncomfortable with romantic content. I once waited a month before I finally liked romance enough to enjoy “To All the Boys I Loved Before.” But most of the time, I don’t mind rom-coms. Romantic content is almost unavoidable, to be honest. What’s something people always get wrong about aromanticism? Any misconceptions? Milly: There are so many! Aromanticism is complicated and diverse. There is no one aro experience and there is a whole aromantic spectrum that people may identify with. The most common misconception is that all aromantic people are aroace, both aromantic and asexual. Queerplatonic relationships are also an important part of the aro community, as is all the terminology surrounding QPRs and attraction. Aros can have partners, though not every aro wants one. Jenny: There are an awful lot of misconceptions about aromanticism. It’s not that we just haven’t found the right person yet, are afraid of commitment, have just had bad past relationships, or are making things up to try and be special. It’s not that aros are cold and unloving, or incomplete without romantic love, because no one form of love is inherently more or less important than any other. What do you wish more people knew or understood about aromanticism? Jenny: It’s easy to get confused by all the new vocabulary if you haven’t come across it before, but to anyone reading, please respect someone’s identity even if you don’t know what it means or understand it. Please do ask respectful questions if you’re confused and would like to know more, and please trust people if and when they describe their experiences, as they know their own feelings better than anyone else. This goes for people of any orientation or gender identity, not only arospec people. Please don’t ever force yourself into a situation you’re uncomfortable with, be it sexual or romantic. It’s OK to want to experiment if you think you might be arospec/acespec but aren’t sure. But you do not ever have to try romantic or sexual relationships to know that you’re aro/ace. You don’t have to try something to know you don’t want it. Please don’t try to change yourself by forcing yourself into situations you don’t want. It’s only going to make you feel worse in the long run. These interviews have been lightly edited and condensed for clarity.